The Belgian designer Charles Kaisin is the latest figure to join the Rolls-Royce Art Programme and will create an origami installation for the motoring marque's London showroom. The Rolls-Royce Art Programme counts a diverse roster of artists among its alumni, including Angela Bulloch, Ugo Rondinone and Isaac Julien. Now, the latest creative luminary to be called upon by the British motoring marque is Belgian designer Charles Kaisin, who enters the fold with an intricate installation for Rolls-Royce’s London showroom in Berkeley Square. The artwork – due to be unveiled tomorrow – will be suspended from the ceiling and comprises more than 2,500 miniature origami pieces. Kaisin graduated from the Royal College of Arts in 2001 but it was his spell at Kyoto University of Arts that kindled his interest in the Japanese art of origami. Each individual piece has been folded into the shape of the Spirit of Ecstasy, and once pieced together will recall Rolls-Royce’s iconic bonnet ornament on a larger scale. Some 500 hours were needed to craft and assemble the delicate artwork, which is made from silver paper that will reflect light back into the space. Not one to rest on his laurels, Kaisin will extend his creative reach beyond the Rolls-Royce showroom for a surrealist dinner celebrating the new commission – his first in London following similar concept events across the world. The designer has masterminded the entire multi-sensory concept, from costumes through to music and table settings. Opera singers and a pianist are just some of the theatrics that lie in store for guests, who will enjoy a five-course meal concocted by French Michelin-starred chef David Martin. Each course is served by performers wearing uniforms specially made to complement the dishes; and guests will receive their very own piece of Kaisin origami to remember the evening by. With Pteron Charles Kaisin offers us an image of a soaring flight of no less than 2000 paper origamis, in the shape of golden doves. All hand-folded by inmates of St Gilles' prison in Bruxelles. While motion blows life in this installation, it is the light that transforms it into a sort of fragmented, abstract landscape, which flickers to the slightest rush of air like a huge golden chandelier, the symbol of the sponsors' dinner. The opera stage is magically filled with the guilded reflexion of little doves, a game of shadows occurs that enwraps he spectator, who cannot but liaise with this symbolism of freedom, peace and luxury. The dissertation paper can be defined as the result of a research. Therefore the dissertation should contain every information and step by step procedure of the research you have made. You can get any help from the dissertation writing service while you got stuck in dissertation writing task. The thesis paper can be characterized as the consequence of an examination. Along these lines, the exposition ought to contain each data and well-ordered strategy of the examination you have made. You can get any assistance from the paper composing administration while you stalled out in Pay Someone to write my Assignment for me. The blog article is great. 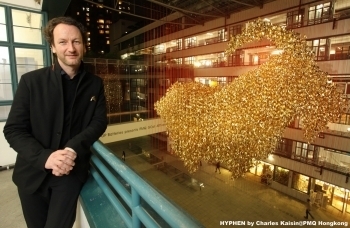 The article explores Charles Kaisin creates 2500 miniature origami pieces for Rolls Royce. It mentions that The Belgian designer Charles Kaisin is the most recent figure to link the Rolls-Royce Art Programme and will generate an origami installation for the motoring marque's London showroom.